CHEF KNIFE by HARRIS. 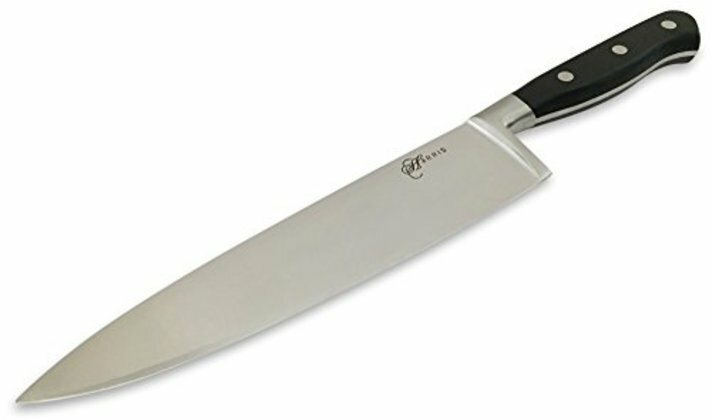 With 8" Rust Resistant Easy to Sharpen Stainless Steel Blade and Durable Forged Handle Ergonomically Designed for a Comfortable Grip. Effortless Chopping. ORDER NOW!!! Forged from a single piece of steel that extends all the way to the end of the knife. Triple rivet handle ergonomically designed for a comfortable grip. Dishwasher safe but hand wash recommended to retain the fine quality of the blade.